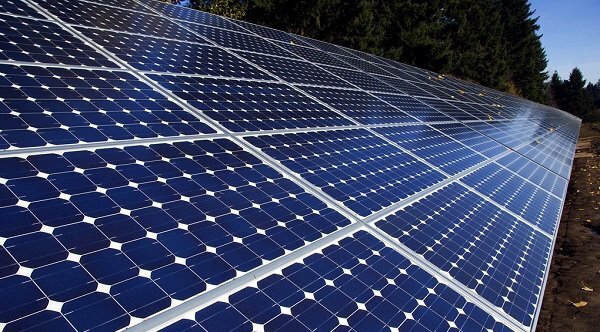 Oregon’s landmark “Clean Electricity and Coal Transition Plan”, enacted in March of 2016, was designed to prevent utilities from monopolizing community solar in the state. Under the new law, utilities must approve and allow the interconnection of non-utility-owned community solar projects as long as they’re certified. What happened next illustrates why it’s necessary for solar advocates to continue to work together, even after favorable solar legislation is passed. This year, Oregon’s PUC issued a follow-up ruling that would, according to one estimate, only create 160 MW of community solar statewide. Another source puts the figure closer to 150 MW. The figure is calculated based on 2.5 percent of the 2016 peak electricity load for each utility, according to the ruling. Each new project is to be capped at 3 MW. Solar advocates are hopeful this allocation for community solar is only a first step and that more tiers of community solar will be added. These advocates pushed the commission to the 2.5 percent figure, after the PUC initially wanted the maximum to be based at 1 percent. They are concerned the new rules leave the credit rate that will apply to the power produced by community solar projects undetermined. The credit rate should be determined next year as the commission is also reviewing a proceeding to determine the value of solar. It is likely the rate for community solar will be set in the same process. After the law was passed in March of last year, it seemed, according to this article, that Oregon might allow community solar projects anywhere in the state, even outside an owner’s or subscriber’s utility service territory. However, the rules now specify that a community solar project must be in the owner’s or subscriber’s utility service territory to qualify. Valdez is concerned this restriction will limit community solar’s ability to benefit utility customers in Portland. The utility that serves most of the customers in and around Portland, Pacific General Electric (PGE), is different than the one, Pacific Power, which serves the southern and eastern parts of the state. The latter areas are better suited for community solar because they are sunnier and less densely populated. “While we would have liked to see a truly statewide program that could leverage urban-rural connections for community investment, I am not surprised that the Commission ruled the way they did,” Valdez said. The community solar legislation does include rules to address the limitation of sites in more urban areas, and an allowance of multiple projects in closer vicinity to get to economies of scale. Bissonnette argues these rules’ restrictions on system size on farmland put PGE customers at a disadvantage for another reason. No more than 12 acres of farmland can be used for a single system. This limit means the largest solar systems that can be built will be at most 2 MW, smaller than the 3 MW maximum size allowed by the law. Farmland presents some of the best places in PGE territory to achieve economies of scale with community solar. Pacific Power territory has a greater amount of open land that its customers can make use of for community solar projects that are able to maximize their size. The community solar law is designed to support the expansion of solar to low-income customers by requiring that 10% of the program capacity serve these customers. Valdez cited Oregon’s broad, inclusive coalition of solar supporters as key in helping to create the state’s community solar program. He said it was important to keep messaging simple and focused on the value proposition for customers. “Having a broad coalition of stakeholders generally aligned on what they value, and bringing new voices to the regulatory (and legislative) arena, are good tactics that we will continue to use in our future work,” Valdez said.